Jackson's laboratory is located in the Seismological Laboratory within the Geological & Planetary Sciences Division at Caltech. 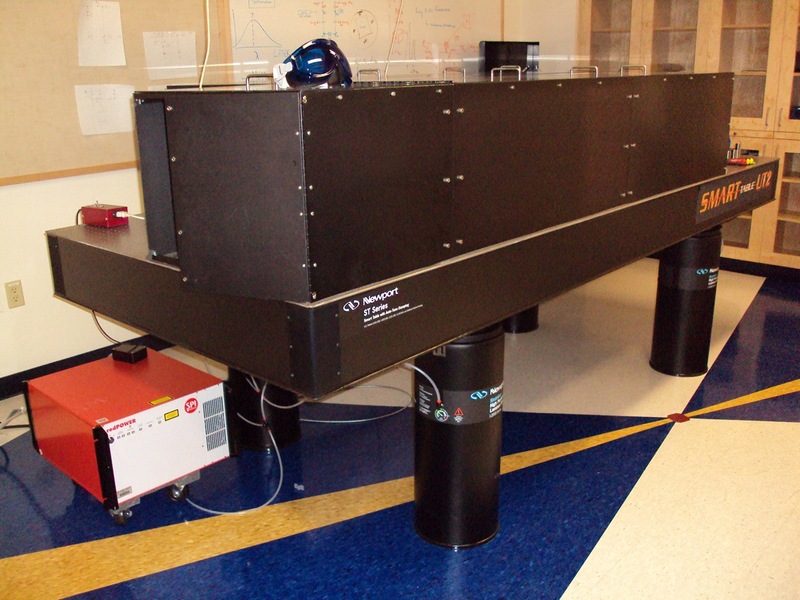 The lab is equipped with Raman spectroscopy, an IR fiber laser (wavelength = 1090 nm) heating system, and a new state-of-the-art pressurized gas-loading system (The Zephyr), equipped with optical access for loading of noble and reactive gases. We have a collection of standard symmetric piston-cylinder and Merrill-Bassett style diamond-anvil cells. 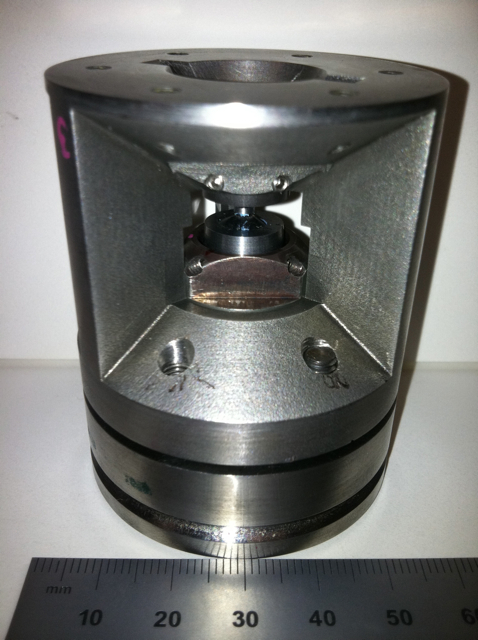 Additionally, we have machined special panoramic diamond-anvil cells at Caltech for nuclear resonant inelastic x-ray scattering measurements with in-situ x-ray diffraction capabilities. 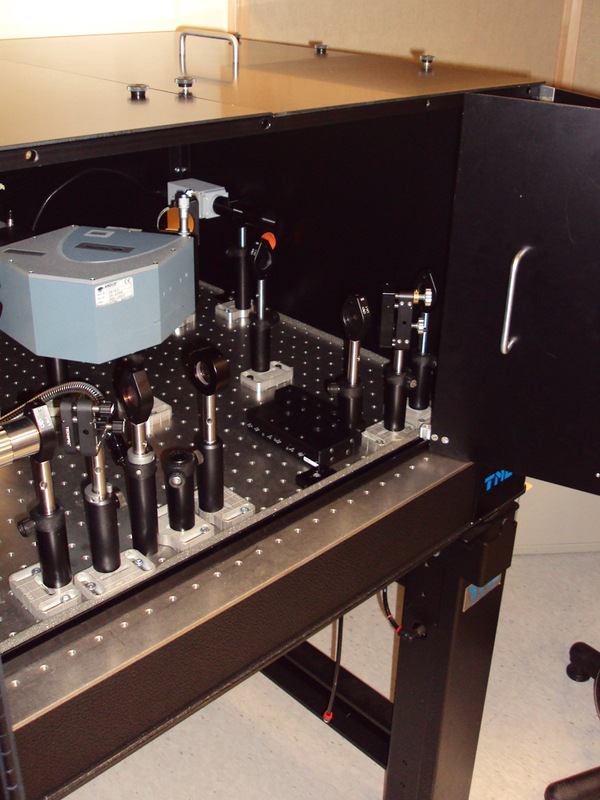 The laboratory also includes binocular microscopes, electric discharge (spark erosion) machines for fabricating tiny sample environments, various designs of backing plates made of tungsten carbide and cubic boron nitride (c-BN), and various gasket materials, such as beryllium, rhenium, and stainless steel. 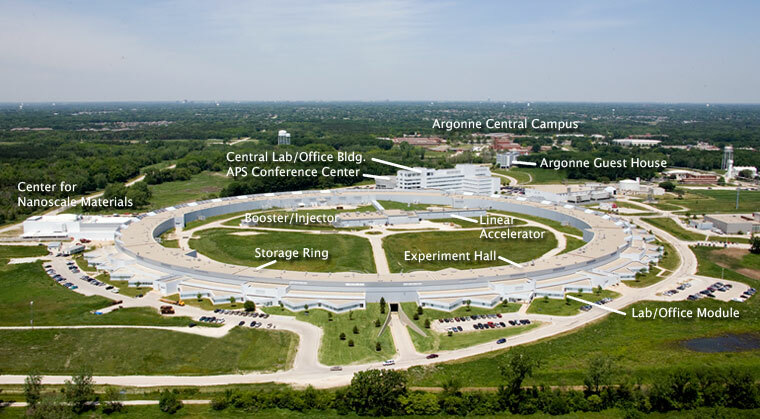 The Advanced Photon Source at Argonne National Laboratory is located in the Chicago area of Illinois, along Historic Rt. 66. We conduct high-statistical quality and high-resolution nuclear resonant inelastic x-ray scattering (NRIXS) and forward scattering (synchrotron Mössbauer spectroscopy, SMS) experiments under extreme conditions of pressure and temperature (e.g., Sturhahn 2004, & 2005, GSA Monograph 2007). We conduct these experiments primarily at Sector 3-ID-B, where x-ray optic development in this group permit such measurements (e.g., Toellner 2001). 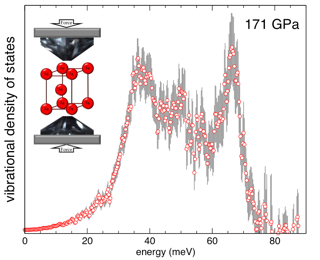 At Sector 3-ID-B, we are developing a novel method for detecting the solid-liquid phase boundary of compressed iron-rich materials at high temperatures using synchrotron Mössbauer spectroscopy (SMS) (Jackson et al. 2013)(Zhang et al. 2015). Our approach is unique because the dynamics of the iron atoms are monitored. This process is described by the Lamb-Mössbauer factor, which is related to the mean-square displacement of the iron atoms. 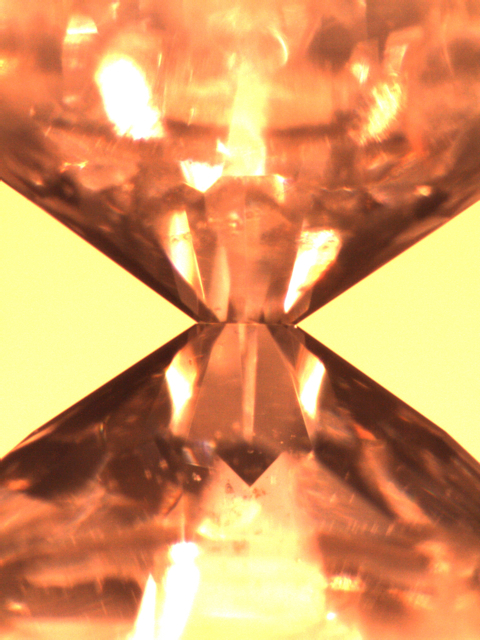 Focused synchrotron radiation with 1 meV bandwidth passes through a laser-heated 57Fe-rich sample inside a diamond-anvil cell, and the characteristic SMS time signature vanishes when melting occurs (see Research Highlights). Sector 3 operations are supported in part by COMPRES. The MINeral physics UTIlities (MINUTI) software version has been released by Dr. Wolfgang Sturhahn. The scientific applications are: calculation and fitting of experimental p-V-(T) data to a thermal (Mie-Grüneisen-Debye) and/or spin equation of state; calculation of sound velocities including spatial averages from elastic constants; calculation and fitting of melting spectra from nuclear resonant forward scattering experiments. MINUTI offers the use of priors in fitting of the data and traceable evaluation codes for publications in mineral physics. The software and detailed manual can be accessed through the website nrixs.com. The MINUTI program package is written in Fortran90. It was extensively tested over the past two years and was continuously improved to handle various data input formats and provide useful diagnosis tools for high-quality data evaluation. A graphical display option is standard with the binary versions. MINUTI can been installed on all UNIX-like operating systems, such as Sun's Solaris, Apple's Mac OS X, Redhat-Enterprise Linux, Fedora Linux, Ubuntu, Suse, etc. For MS-Windows like operating systems, a Linux/Unix emulator needs to be installed to run MINUTI. Dr. Wolfgang Sturhahn develops the MINUTI, PHOENIX and CONUSS software packages for the greater scientific community. Please go to the official nrixs.com website for more information about obtaining these packages.